Digitally remastered and expanded reissue of the 1968 debut album from this British Pop act. 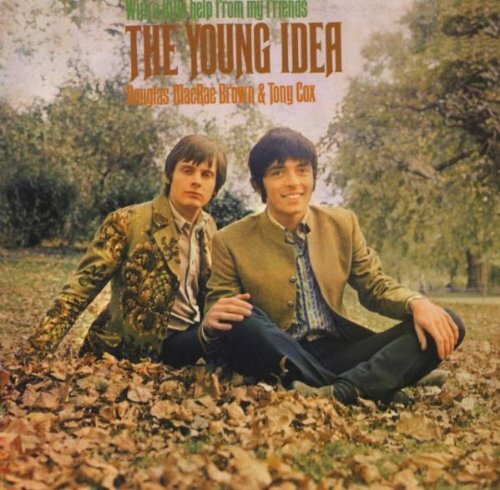 The Young Idea was a vocal duo comprising Tony Cox and Douglas MacRea-Brown. To their credit, their records were afforded the big band, major label production style of the day but closer inspection reveals distinctly esoteric elements on skewed pop gems such as 'All The Colours Of Darkness' (later to lend its name to a volume of the influential Rubble compilations), 'Room With A View' and 'Just Look At The Rain', affording them comparison to contemporary orch-pop offerings from Nirvana, World Of Oz and Paul & Barry Ryan. 17 tracks. Rev-Ola. 2009. If you have any questions about this product by Rev-Ola, contact us by completing and submitting the form below. If you are looking for a specif part number, please include it with your message.